Rotacaster Omniwheel Sale on NOW! If you’re looking to get some of the coolest wheels available on the market today, then go check out the Rotacaster Omniwheels. They’re currently having a sale on their website with a 15% discount. You can find their shop site here: [LINK]. Use the discount code: RoboticsXmas to get the 15% off. The sale ends December 19, so don’t delay too long. These are the wheels that I used to create the LEGO Wheelchair and the LEGO ATV. They rock! Christmas 2012 I was sent some awesome Matrix Robotics LEGO compatible robotic sets. These are similar to Textrix however work a lot better with the LEGO Mindstorms system. Sorry for the massive delay, we have a new arrival to the family! The Great Western LEGO SHOW 2013 was another amazing show with record number of visitors. I am looking forward to this years show! Just before Christmas I received this fantastic book and over the last few months I have been making my way through it. I think this is the number 1 book if you are coming from a LEGO MINDSTORMS background and want to know more about electronics and the Arduino platform or are coming from an Arduino background and want to integrate it with an easy to use building framework like LEGO. The book features nice big colourful photos and building instructions. It features a wide range of projects from a robotic clock to a drawing bot, you can even make a drinks dispenser. 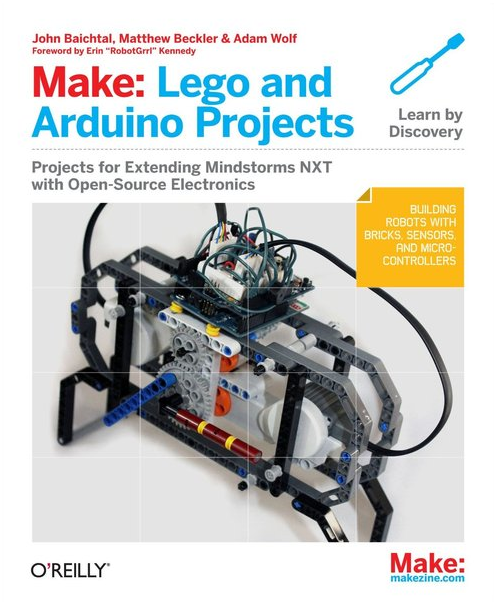 The book also covers the basics of electronics, history and in-depth details of LEGO MINDSTORMS and the Arduino platform and how to connect a LEGO MINDSTORMS NXT to an Arduino. I would say the only sticking point that people might find with this book is that it requires a Bricktronic Shield/Motor Controller to build most of the projects. Full instructions on how to make your own shield are provided in the book which is useful if you don’t have one. If making one is not your thing, you can buy one from Wayne and Layne (co-writers of the book) for a fairly cheaply. Wayne and Layne also have some other cool projects on their site including an Arduino Mega Shield that allows you to run 6 LEGO NXT motors and 4 sensors. I will be doing a review of that soon. As I have already said, this book is awesome if you want to extend the possibilities of your LEGO MINDSTORMS kit or use LEGO with the Arduino platform. Woo-hoo, the LEGO Wheelchair and I will be at LEGOWORLD in Copenhagen tomorrow for the 4 day event on the Mindstorms display. If your at the show, please say hi, if your thinking of going, GO! There will be some amazing LEGO models and people to meet! I will post some pictures and videos of the event very soon. Lee Magpili, lead designer of the LEGO MINDSTORMS EV3 at the BETT show. I was lucky enough to bump in to Lee at the BETT show in London. This is a 4 day massive education show held at the EXCEL center. Here is a very cool video of Lee showing us some LEGO EV3 models. Well people, today is a great day for LEGO MINDSTORM fans, the next generation of the LEGO MINDSTORMS set has been announced and looks flipping awesome! I have known about this for a little while being an MCP and have been itching to spread the word however could not! For Christmas my lovely wife got me a Raspberry Pi Starter Kit. I wanted one of these since I saw that people had made it control an NXT via NXT-Python. I thought that it would be cool to do the same so I found this website and followed what I could. I am a programmer but I have limited Linux and no Python experience. You will need to install PyUSB, to do this just run “apt-get install python-usb” under root terminal. The video below shows the Mary example running from the NXT-Python samples. What next? Well I now have a portable computer driving my NXT which has WIFI support and can run a webserver. It should not be too hard to turn the Pi in to an advance WIFI sensor for the NXT and cost a 1/3 of the price. Just before Christmas I received the HiTechnic SuperPro Experimenter’s Kit and the HiTechnic MiniScope. I was lucky enough to get some time over Christmas to have a play with the SuperPro and really enjoyed it. The SuperPro comes with an array of electronic elements including a speaker, magnetic sensor, temperature sensor, light sensor and some LED’s. I went through the 9 experiments and felt that I learned more about electronics. 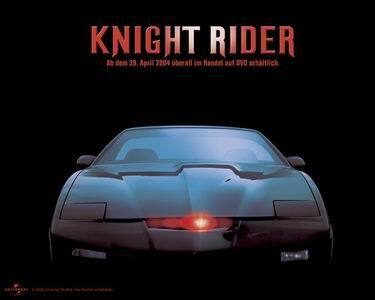 I especially enjoyed controlling the array of LED lights as I was soon able to modify the code (I was using RobotC)to make a Knightrider type effect (see video below). The SuperPro comes with a solderless breadboard and a case full of cables to make wiring anything up very easy. The quality of all the parts is very good. If you are in to LEGO Mindstorms and want to learn more about sensors and start making your own, then this kit is the holy grail. This board has more features than anyone could want. You can even program the board directly using SuperProc C.
If I had to suggest improvements, I would probably ask for more information on how components work and why you need to use them in the certain experiments (e.g why do we use x resister in this example, why do we use a capacitor between these 2 pins). I would also love to see an experiment which uses a non LEGO motors or a servo. I think if you were clever you could setup this board to be many sensors in 1 (temperature, light, LED Array) and free up your NXT ports. My next plan is to see if I can get a motor or servo working, maybe then moving on to a motor multiplexer. I would like to thank HiTechnic for giving me this chance to try out this brilliant piece of kit. Below are images of some of the experiments.